4. Integration testing and so on. · SAP is a humungous system with endless variations. 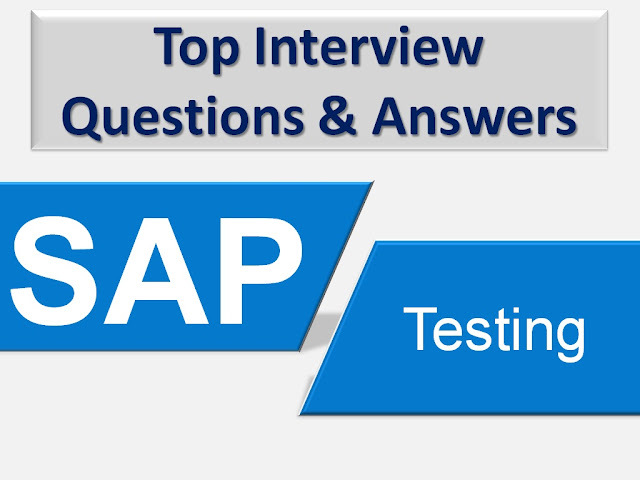 It’s neither feasible nor cost-effective to check all possible variations and combinations of test parameter inputs in SAP system. · A Tester needs to adopt strategies to reduce the number of test cases without sacrificing coverage. · Equivalence partitioning & orthogonal array. · Managing output and input data to complete the scenarios OTC, P2P, etc. · What is the objective of using SAP Interface and what business scenarios are processed by the interface? · Verify if the outbound interface is alright, which means that it ensures to perform file meeting specifications in terms of layout, etc. · Verify if the inbound interface is alright. Check if it is reading the file correctly and if it is performing the correct steps in the target system. · Snote: By implementing a SAP Note an error in a single program or Transaction is removed. · SAP Kernel: It is the core of the application. When a Kernel is upgraded, it means an older versions of the various EXE files get replaced. · System Log: You can use the log to highlight and rectify errors occurred in your system and its environment.